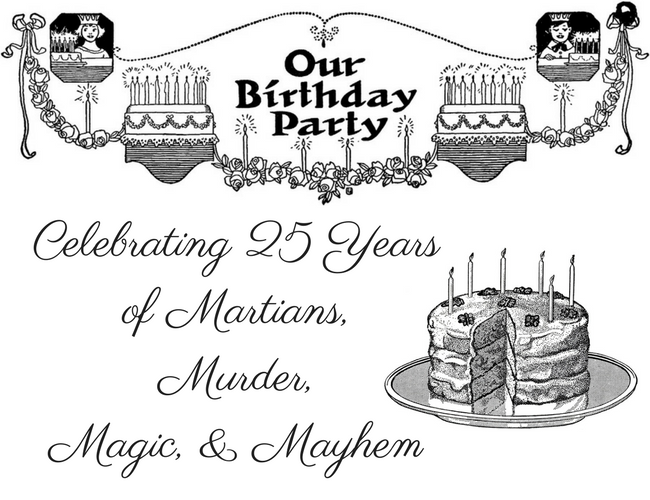 Mysterious Galaxy’s 25th Birthday Bash! It’s an all-day party at the fabulous Mysterious Galaxy Books. Lots of authors; lots of history; lots of books. I’ll be on a panel at 11:30. Come on out to say hi and help these wonderful people celebrate!